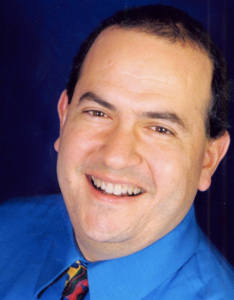 Listen as book marketing tips expert, David Newman and bestselling author of “Do It! 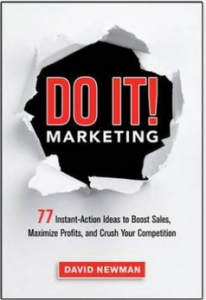 Marketing: 77 Action Ideas to Boost Sales Maximize Profits & Crush Your Competition,” shares a wealth of action-packed book marketing tips. If you want your book to catapult to new levels of success, then listen and take serious action using David’s smart, astute and proven tips and techniques. David runs a marketing and training firm dedicated to helping speakers, consultants and high-fee experts maximize the influence impact and income. His instant action marketing advice has been featured and quoted in The New York Times, Investor’s Business Daily, Sales and Marketing Management, selling power, Forbes, fortune, Entrepreneur Magazine and hundreds of media outlets throughout the United States. Q: David, every author wants a bestselling book, but why do so many fall short or abandon their success mission? A: Authors believe the hardest part is writing their book, and really their toughest challenge is marketing their book. Until you’ve accomplished this yourself, you can’t appreciate the gargantuan efforts it takes. It’s a real test of endurance, especially if you want to get your book to a bestselling position. Whether it’s Amazon bestseller, New York Times bestseller, USA Today, Wall Street Journal, you choose. Instead of realizing it’s an endurance test, most authors consider that it’s like a walk in the park, or even worse, they say, “when my book comes out then I’ll…” They don’t appreciate and understand that their campaign needs to start six to nine months before the book is even comes to market. You have to go into maniac marketing mode. Compare it child-rearing. Once your child can walk your work is far from complete job. You have to keep moving forward until he/she is eighteen years old, leaves home, and leaves for college. It’s a major responsibility if you really want your book to make an impression, and make the sales numbers you believe you’re due. So many authors are fearful to do any marketing until they literally have the physical book in hand. This is three months too late!